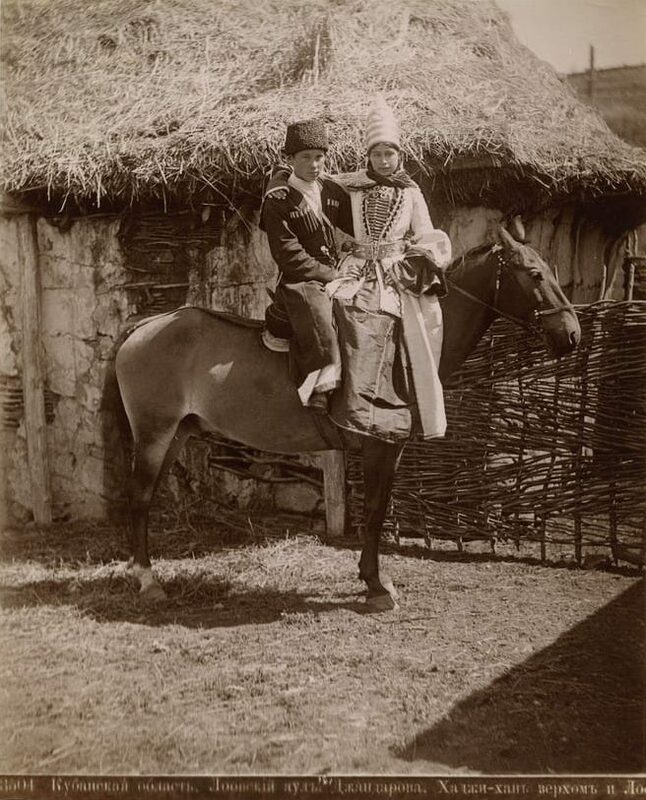 Between 17 April and 19 May, ROSPHOTO holds an exhibition, organized jointly with the Russian Museum of Ethnography, of over a hundred original prints by Dmitry Yermakov, who worked in Tiflis at the turn of the twentieth century. We are glad to share with you an article presenting the findings of ROSPHOTO researchers on the life and work of the master. After the death of D. I. Yermakov in 1916, his extensive legacy, scattered across archives and museums worldwide, remained virtually unknown by photography enthusiasts and researchers. From the 1980s, on, his photographs regain the audience’s interest. In 1984, a book Old Tbilisi was published in Tbilisi, introducing the reader to the forgotten views of the capital of Georgia. Dmitry Ivanovich Yermakov was among the photographers whose works appeared on the pages of the edition. 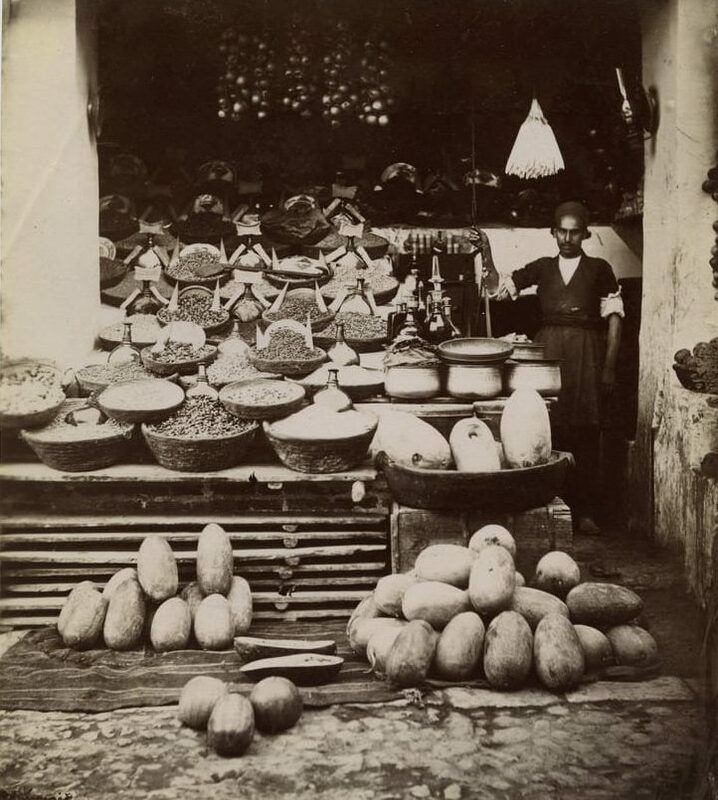 Later in 1991, a textbook History of Abkhazia was published, one of the chapters of which was illustrated by Yermakov’s early photographs dating back to 1867. Later on, his legacy has repeatedly become the object of research, but the biography and work of the photographer are still full of secrets. Dmitry Ivanovich Yermakov was born in the Caucasus in 1846. It is not yet possible to indicate the place of birth with certainty: different sources suggest Nakhichevan (Azerbaijan) or Tiflis (Georgia). Circa 1860s, Yermakov completed a one-year course in military topography at the headquarters of the Separate Caucasian Corps, having acquired topographic survey skills and mastered publishing. In the late 1860s, Yermakov met artist Pyotr Kolchin (1838–1890s), whom he partnered with to establish his first portrait photo studio in Tiflis. His cooperation with Kolchin, apparently, had an impact on the establishment of Yermakov’s recognizable style, adding a painterly quality to his staged studio compositions. At the same time, Yermakov took up ethnographic photography, while also engaging with the study of languages ​​and cultures of the East. This theme became dominant in the photographer’s work. 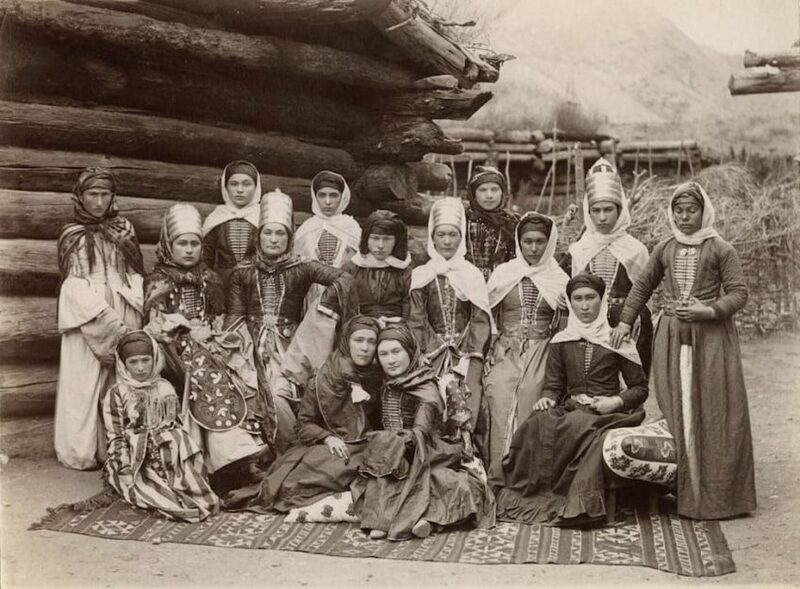 At the turn of the 1870s, Yermakov opened a photo studio in the center of Tiflis on Golovinsky Avenue, where he began creating a gallery of portrait images of people of various ethnicities inhabiting the Caucasus region. In the early portraits taken by the photographer in the studio, it is possible to trace the development of his style. Yermakov pays much attention to building the composition and working with models, achieving such a posture, head tilt, and gaze direction, which would create a sense of authenticity of what is happening in the picture of the moment. The entourage recreates the features of the area characteristic of the present residence of the models, and the objects with which they interact represent their kind of activity or their social affiliation. For shooting, Yermakov used a painted background or retouched the back side of a glass negative to enhance the luminosity of the images. Thus, photography, along with documentary accuracy, acquired artistic expression. In 1871, the photographer for the first time sent a collection of his photographs to Paris and became a member of the French Photographic Society. From that time on, Yermakov regularly participated in international exhibitions across Europe. In 1872, Yermakov took part in a long archaeological expedition to the cities of Asian and European Turkey, reaching the town of Varna. The duties of the photographer included shooting architectural monuments and landscape views. It is possible that at this time Yermakov simultaneously performed topographic surveys for the Main Directorate of the General Staff of the Russian Empire army. 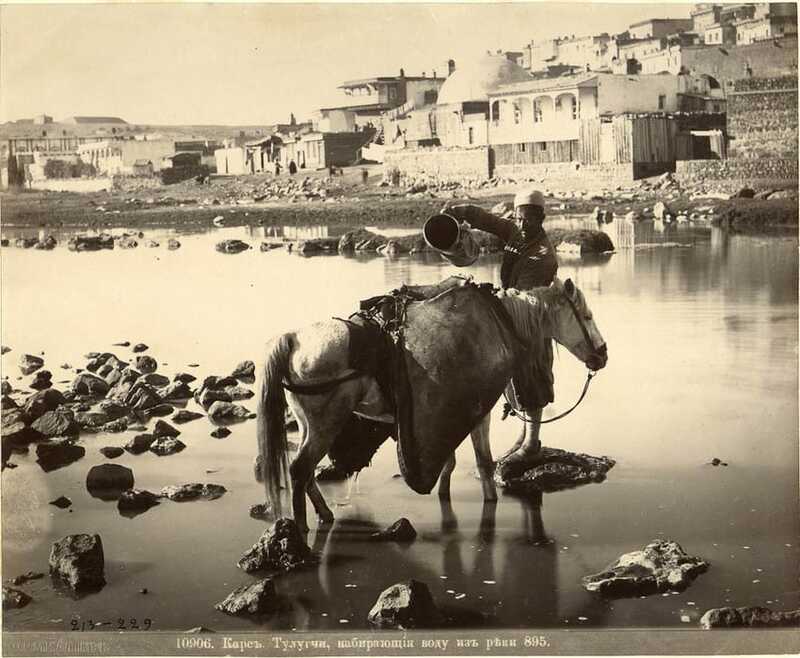 In the early 1870s, he sent a collection of views of the Turkish part of Armenia to the Russian Geographical Society. 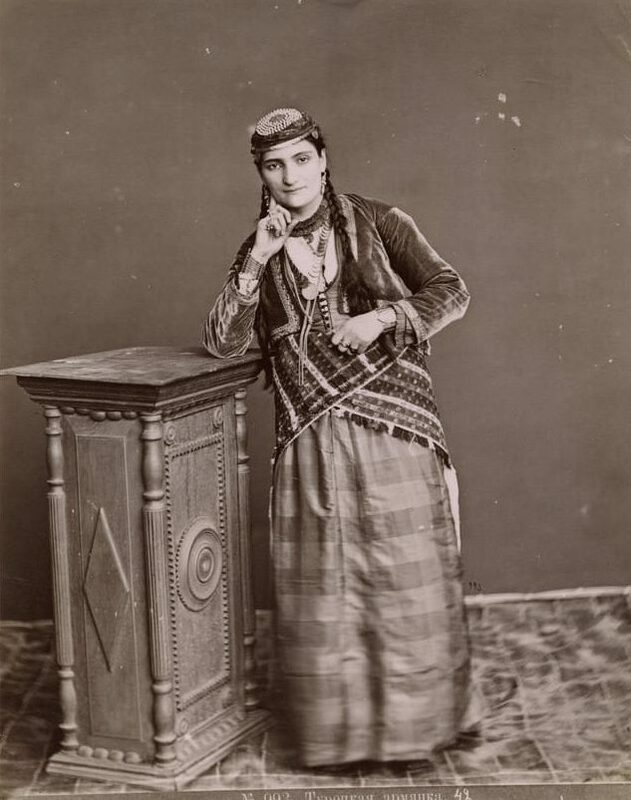 After returning to Tiflis from Turkey in the first half of the 1870s, Yermakov met a young budding photographer, Antoine Sevryugin (1838–1933), who was born and raised in Tehran in a diplomat’s family. What they had in common was a passion for photography and oriental culture. Yermakov’s professional interest in Persia inspired Sevryugin to return to Tehran, where Antoine opened a photo studio in 1873. Apparently, at the same time, Yermakov, at the invitation of Sevryugin, made his first trip to Persia. During the journey, Yermakov covered a distance of 1,100 km and worked actively all along the way, creating a total of more than 850 glass negatives. This material is a valuable ethnographic record of the culture and life of South Azerbaijan and the northern regions of Persia. 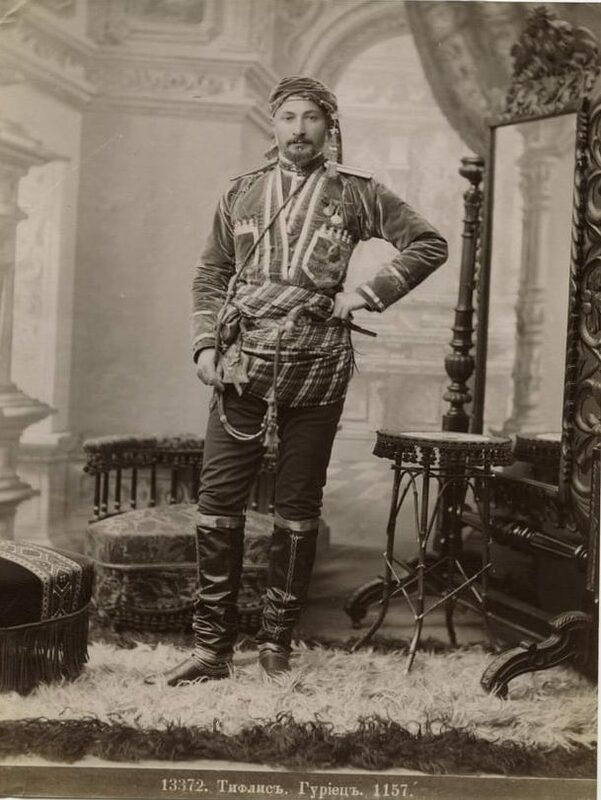 In Tehran, with the support of Sevryugin, Yermakov submitted his photographs to Naser al-Din Shah (1831–1896) and subsequently received the title of court photographer of the Shah of Persia and the Order of the Lion and the Sun of the 2nd degree. 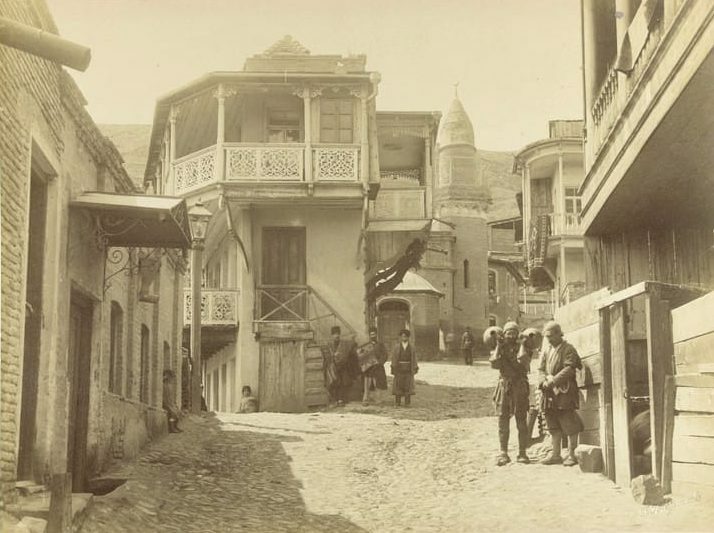 In 1874, Yermakov took part in the tenth-anniversary exhibition of the French Photographic Society, where he presented 17 photographic views of the Turkish city of Amasya, printed from wet collodion negatives. The collection won critical acclaim and secured the photographer the medal of the exhibition. At the age of 28, Yermakov received international recognition, which for that time was a remarkable achievement. Shortly after the success at the exhibition, the photographer received an offer from the Countess Praskovya Uvarova, President of the Moscow Archeological Society, to shoot archeological excavations in the Caucasus. Yermakov photographed objects found in ancient barrows and burial grounds and items held in private collections. His negatives depict objects of applied art, such as weapons, clay and copper utensils, jewelry and gems, church plate, as well as fragments of ancient buildings and monuments. 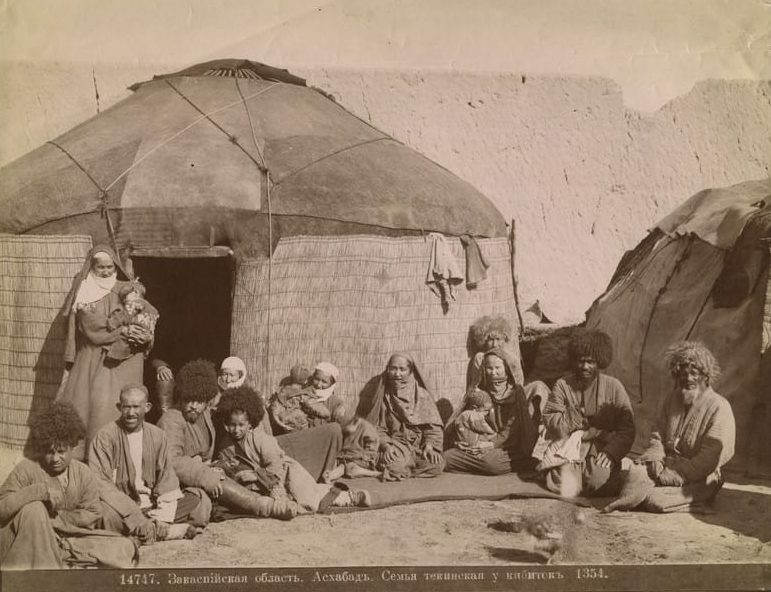 In the meanwhile, Yermakov added more images to the gallery of ethnic types that inhabited the Caucasus. He portrayed them in national costumes, holding traditional ceremonies or making crafts, at home and in public. The choice of types is surprisingly accurate. Most of them are authentic, convincing, and moving. In 1877 and 1878, Yermakov worked as a military photographer in the Russo-Turkish war, shooting on the Caucasian Front for the General Staff of the Russian army. From the photographs of this time, one might conclude that during the period of hostilities on the Caucasian front Yermakov was with the 41st Infantry Division. 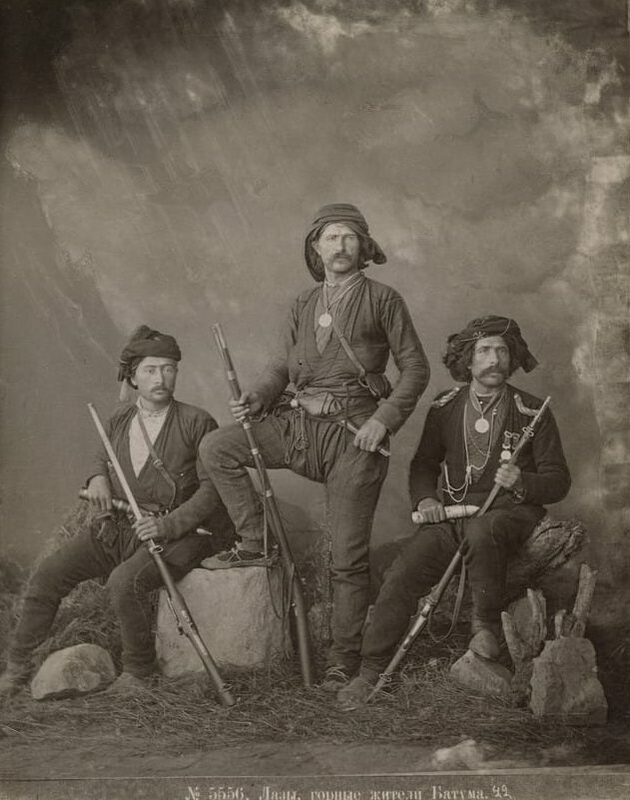 During the war, Yermakov got an opportunity to capture the types of Turkish military of various ranks and professions. At the end of the war, Yermakov resumed showing his work at international exhibitions. In 1878, his photographs took part in the third Paris World’s Fair. The following year, Yermakov received a medal from the Moscow Anthropological Exhibition, which opened on April 3 at the Manege, for photographs showing the life of Caucasian peoples. After the show, most of the exhibits were moved to Moscow University to become part of the collection of the newly established Museum of Anthropology. In 1882, at the All-Russian Industrial Art Exhibition in Moscow, Yermakov received another award — a bronze medal. The 1880s–1890s were a period when Dmitry Yermakov worked actively on recording the achievements of the agricultural and industrial development of the Caucasus region. The catalog of photographic views and types of the Caucasus, Persia, European and Asian Turkey, published in Tiflis in 1896 (the second revised edition came out in 1901), featured a list of 18,000 “views and types,” allowing one to conclude that Yermakov indeed had become a professional photographer with universal skills. At this time, Dmitry fulfills orders for the Caucasian Railway, the Tiflis Agricultural Industrial Exhibition, and covers official visits of high-ranking officials to the Caucasus. He also conducts elaborate photo shoots of the famous Caucasian resorts: Essentuki, Borjomi, Zheleznovodsk, Kislovodsk, Pyatigorsk, and the springs of the Kuban region. In 1881, as a sign of recognition of Yermakov’s work on the preservation of ancient history, he was elected a member of the Russian Archaeological Society. This event was followed by other acts of acknowledgment of the Tiflis photographer’s merit by the scientific community of the Russian state. The recognition in the Caucasus came to him only at the turn of the century. According to various sources, in 1897, Yermakov became a member of the Society for the Promotion of Fine Arts in Tiflis. However, among the 111 members of the Society, his name is not mentioned. In 1907, the photographer was admitted to membership of the Caucasian Branch of the Moscow Archaeological Society. 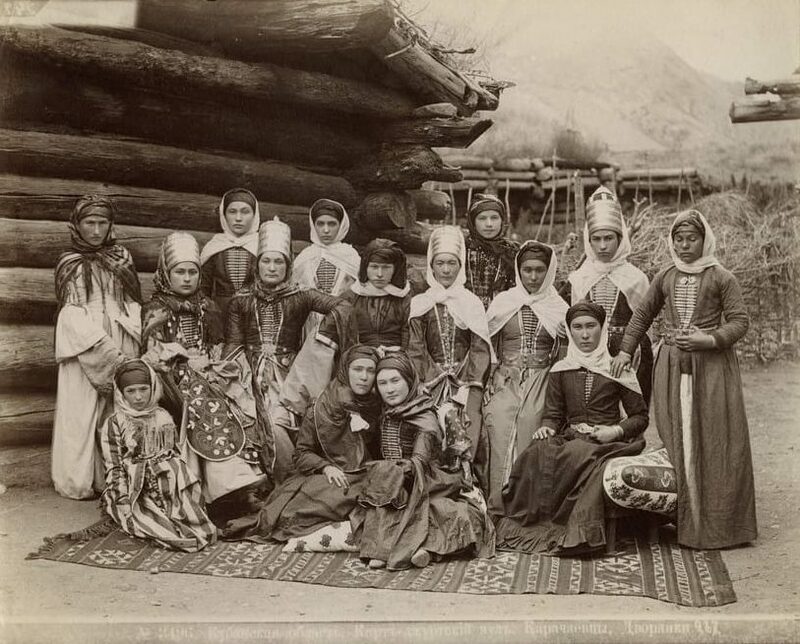 Even though Yermakov’s growing photographic business demanded both shooting new subjects and publishing old collections, he continued to travel throughout the Caucasus region, enlarging his photographic archive of ethnic types: Imeretians, Ingush, Mingrelians, Svans, Teke, and others. For his travels, he improved the traveling mobile laboratory, designed new lenses, upgrading I. Filippenko’s “traveling” photographic equipment and the “stereoscopic device for expeditions” by D. Yezuchevsky. Yermakov expressed interest not only in the commercial side of photography. Like many photographers of the late 19th century, he was concerned about the preservation of his artistic heritage. For this purpose, Dmitry Yermakov wrote a letter to the Caucasian Ethnographic Department at the St. Petersburg Museum of His Imperial Majesty Alexander III, offering to purchase 500 photographs from him. Yermakov’s work was accessioned into the collection of the Russian Museum of Ethnography in 1903. The museum archive now also holds the photographer’s letters. Yermakov’s last expedition took place in 1910. Together with Professor Ekvtime Takaishvili (1863–1953), he embarked on an archaeological expedition to Lechkhumi-Svaneti, which resulted in 900 glass negatives. With this work, Yermakov virtually completed writing his version of the visual history of the peoples of the Caucasus. In 1916, Dmitry Ivanovich Yermakov died in Tiflis. The central part of its archive is located in his homeland in Georgia. His photographs are held in museum collections in France, Italy, Germany, USA, UK, Russia (Moscow, St. Petersburg, Krasnodar) and private collections around the world. In his creative and professional work, Yermakov managed to recreate the everyday life of the Eastern world in photographs of high historical, ethnographic, and artistic value. Yermakov’s oeuvre transports the viewer into the past, offering to admire the beauty of perfectly constructed compositions, the accuracy of details, the peculiarity of human types, the magnificence of nature, and the elegance of ancient architecture. The surviving pictures by Yermakov are not only first-class examples of photographic art from the turn of the century but also an inexhaustible source of knowledge, uncovered for a closer look.